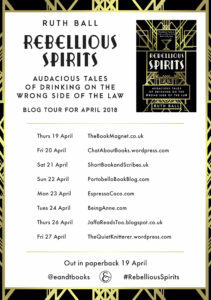 I’m so pleased to be taking part today in the blog tour for Rebellious Spirits by Ruth Ball and I’ll be sharing an extract with you. 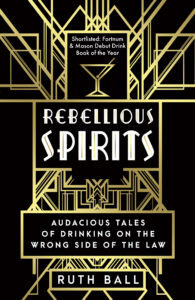 It promises to be a fantastic read all about ‘Britain’s secret, exciting and often dangerous love affair with booze’! Thank you to Alison Menzies for asking me to take part in the tour and for sending me a copy of the book. From the first Malt Laws in Scotland and the restriction on gin in Hogarth’s London to the bootleggers of the Second World War and the modern speakeasy, Ruth Ball charts our enduring relationship with illicit alcohol. A former bartender and founder of the bespoke liqueur company, Alchemist Dreams, Ruth’s flair with spirits can be seen in the many recipes, both traditional and modern, that pepper the pages of Rebellious Spirits, inviting you to drink along as you discover the true taste of the past. 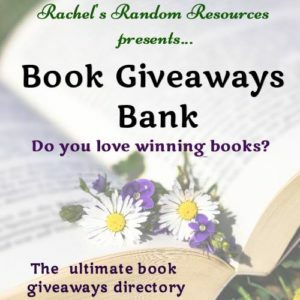 Rebellious Spirits is available now in ebook and paperback. I know that I’ll get into trouble for including a chapter about Ireland in a book calling itself a British history, but this book is really the history of people defying the British authorities. The Irish have always been the very best at doing that. To leave them out would mean missing one of the most spirited periods of excise defiance; so hopefully I will be forgiven my impertinence. When the taxman first came for poitín, making it was not only a long-standing tradition in Ireland but was also the only way that many tenant farmers could afford to pay their rents. Poor roads and remote locations made it difficult to transport bulky grain to market, whereas moving poitín was much simpler. Some farmers even paid their rents directly in poitín rather than money. Poitín as we now know it – or at least, the stuff that tourists are allowed to get hold of – is usually distilled from sugar, treacle, potatoes or whatever else is currently cheap and easily available, often without too much regard for taste. Originally, however, malted barley would have been used, and the poitín makers would have produced a whiskey nearly indistinguishable from an unaged Scottish single malt, apart from the insistence on including an ‘e’ in the name. The name poitín means ‘little pot’, in reference to the small pot stills in which it was made, which would also have been similar to the copper stills in use in Scotland. The poitín was slow-distilled, and for many years it was hugely superior to the rushed, raw corn product of the few licensed stills in the country. It was only in later years, as the poitín producers became more endangered and as sugar became both cheaper and more easily available than malt, that the nature of poitín began to change to make it a distinct product from whiskey. But what would a treacle poitín taste like? It’s closest in taste to rum, since both are made with sugar cane; but whereas rum is generally made from the light molasses produced at the beginning of the sugar refining process, the kind of black treacle that would be used for poitín is produced at the very end of the process. Treacle has a lot of extra dark, acidic flavours, and distilling the treacle mixture leaves the spirit clear but still with some of those sharp, heavy flavours that make it taste somewhat different to rum. Without a still to hand you’ll have to put up with the colour, but you can make something that tastes similar. Put the treacle and water into a small saucepan and heat gently until the treacle has completely dissolved. Allow to cool to room temperature, seal in a small container and leave in the freezer overnight. Pass the treacle mixture through a paper coffee filter while still cold, then add to the rum and mix well. Drink while swearing to anyone who asks that you made it yourself to your grandaddy’s recipe. Ruth Ball is related to Admiral Edward Vernon, the man who invented grog as a way to serve the rum ration to the navy in 1740. She is a chemist and former bartender, and was the founder of Alchemist Dreams, a company dedicated to making handmade liqueurs blended to order for clients such as the British Library and the Science Museum Group. She is the author of Rough Spirits and High Society: The Culture of Drink (British Library, 2017). 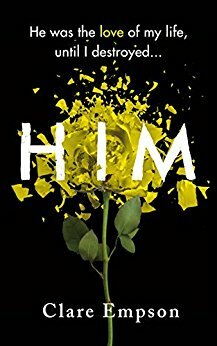 Having grown up in the Peak District, she now lives in London where she works at East London Liquor Company.